Countdown to Christmas - our guide to last-order retail dates | What Hi-Fi? Remember, these are UK guideline dates that cover in-stock items: you'll need to ensure the retailer has the particular item in stock, plus there maybe specific delivery options/restrictions for certain items. 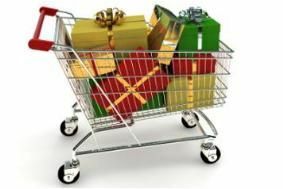 Woolworths - free delivery offer ends at midnight tonight; type in promotion code XX607 for free delivery of £30+ orders from the main shop; later shipping options available for music, movies & games. Amazon - 9pm deadline for 'heavy or bulky items over 25Kg in weight'. TV purchasers please take note! Argos - last order date for Royal Mail delivery of selected internet-only lines. Sevenoaks Sound and Vision - last day to order in-stock items from the website for guaranteed delivery before 25th; winter sale already on online and in-store (of which more later...). Amazon - super-saver etc PLUS last day for orders from Indigo Starfish - Amazon's 'preferred merchant' for many CDs, DVDs and Blu-ray disc. Zavvi - last day to order most items; 'selected' items available to order until 22nd. Play.com - last day "orders will be posted out" - no specific deadline time given for orders, though Play does say to leave up to five days for delivery. We'd order by lunchtime to be on the safe side! Apple Store - online orders for iPhones, iPods, most standard Macs and accessories need to be in by midnight; you may now need to wait until after Christmas for a custom-configuation Mac: ask in-store. Audio-T - order by 2pm from the hi-fi and AV retailer's website;Winter Sale already on! PRC Direct - order by 12.30pm for delivery of 40in or smaller TVs plus a wide range of other items; in-store only now for larger TVs. Don't forget your High Street store! Missed the last shipping date? Of course there's still plenty of chance to shop in store, especially with many retailers working extended hours. Next week we'll bring you a guide to the big sales offers, plus opening hours of the key hi-fi and AV retailers. Until then, you can be kept up to date with all the latest news and deals by following us on Twitter.